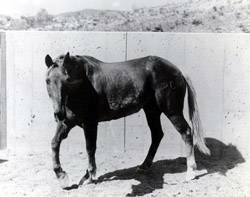 Six-time Bucking Horse of the Year Descent, a palomino gelding, was the most noted animal in the Beutler string. Lynn Beutler purchased the horse in 1964 as a 5-year-old. 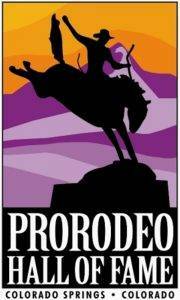 In 1966, the season’s Top 15 saddle bronc riders voted Descent as the Bucking Horse of the Year. He continued that streak through 1969. In 1970, the horse was sidelined due to injury, but came back in 1971-72 to reclaim the Bucking Horse of the Year award. Descent was retired at the National Western Stock Show and Rodeo in Denver and lived in comfort at the ProRodeo Hall of Fame until his death in 1983.